Former Trump campaign manager Corey Lewandowski weighed in on the FBI indictments that came down Monday against former Trump campaign chairman Paul Manafort, his business associate Rick Gates, and former Trump advisor George Papadopoulos. Manafort and Gates face 12 charges of money laundering and conspiracy against the United States, while Papadopoulos admitted to having lied to the FBI about his Russian contacts. Some critics charge that it was up to the Trump campaign to do a rigorous background check on the above men before trusting them with the inner workings of a presidential campaign. However, Lewandowski is telling the media that the FBI is ultimately responsible. "Never was I contacted, never was the president (or candidate) contacted about any relationship that Paul Manafort might have had by a government authority," the former campaign manager remembered. "You would think that just from a security standpoint that they would come and brief the campaign and say 'Look, we've got some concerns about this person,'" he continued. 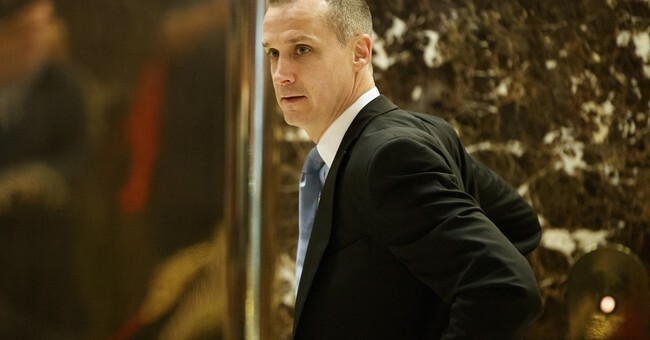 Lewandowski echoed the sentiments of the White House by noting these latest developments prove there was no collusion whatsoever between the Trump campaign and Russia. Asked on the "TODAY" show if he was the "high-ranking campaign official" who received emails from Papadopoulos during the campaign, Lewandowski said he doesn't know, adding that if it's true Papadopoulos did mislead the FBI, he should be held accountable. President Trump called Papadopoulos a "liar" who had little influence on his campaign.